Joseph rugs, exquisite in design and quality, this range is at the forefront of interior fashions and trends, each rug is multi coloured to be both striking and neutral. 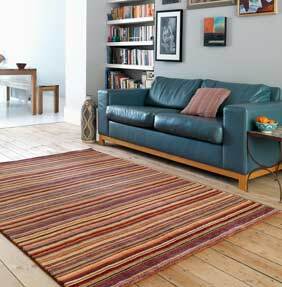 Joseph rugs are handmade in India, only the finest pure New Zealand wool is used in the construction of each rug. Available in five standard sizes which include a runner and a large 200x300cm rug. Colours available are Spice, Sienna, Blue Green, Natural and Ginger.